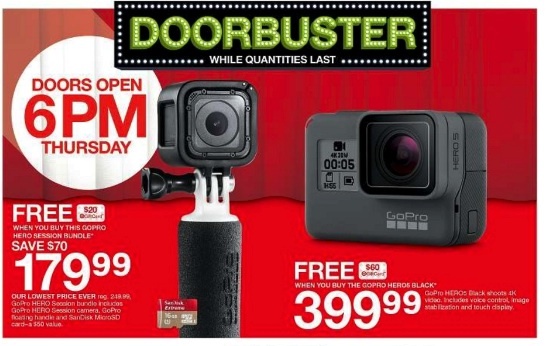 Ready for a deal on a GoPro Hero during Black Friday? 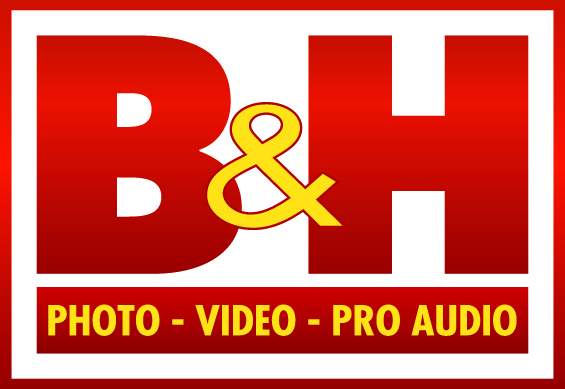 We will bring you info about the biggest and best deals and discounts on the Hero 7, Hero 6 and older models when the savings are announced online or in an advertisement for from Thanksgiving Day to Cyber Monday 2019. We are committed to helping you find the best shopping deals of the year from Amazon Prime Day to Thanksgiving Weekend. So get ready to save in 2019, 2020 and beyond! We will find the lowest prices on the Hero 6, Hero 5 Black, and Hero 5 Session, regardless of whether it is for Black Friday or Cyber Monday. Whether you are looking to buy an action camera for Christmas this year or as a gift to yourself, these deals and discounts will help capture the excitement of the outdoor adventures. RIGHT NOW: Click Here to Get $70 off the Hero7 Silver – only $229 on Amazon. RIGHT NOW: Click Here to Get $20 off the Hero7 White – only $179 on Amazon. 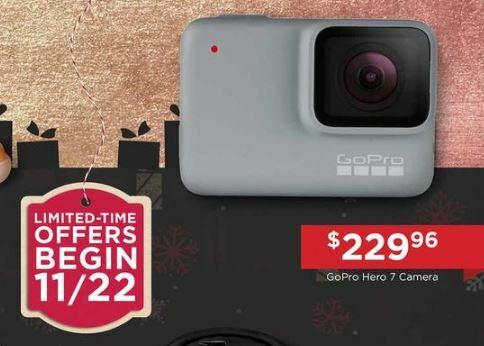 Get $100 off a GoPro Hero 7 Silver or Fusion by turning in any GoPro or digital camera in any condition – dented, dinged, or destroyed. Click Here and then choose “GoPro TradeUp” in the bottom right corner of the page. Details: The camera must have an original retail value of at least $99.99 to be eligible for trade-in. It is valid only on purchases at the GoPro website. It cannot be combined with any other offer, discount, promo code or applied to previous purchased. How to take advantage of the deal: Place your order. Once you get through checkout you will get a prepaid shipping label. Pack up and send in your camera using the label provided. This is the best deal we have seen on the Silver so far – CLICK HERE TO BUY THE HERO7 SILVER FOR $199. GoPro Hero – The new $199.99 model called the Hero is a budget friendly, entry-level camera with many of the same capabilities of the more expensive, advanced models. Highly affordable but you make some quality sacrifices (only 1080p video vs 4K on the Hero 6). Hero 7 Black: It is regularly priced at $399, follows up on the traditional design of the Hero 5 and 6, and has the same custom GP1 processor as the Hero 6. There are a number of extra features including the ability to live stream, a time-lapse feature, smart HDR photo mode, and an in-camera stabilization algorithm. The new digital stabilization technology is called Hypersmooth – Verge says it sets the bar for digital video stabilization. It also has an optional SuperPhoto HDR mode that enhances photos by taking several shots in rapid succession before stitching them together to optimize colors, tone and reduce noise. Hero 7 Silver: A less powerful processor than the Black. Shoots 4K footage but is missing super slow-motion capability. Built tough and waterproof to 33ft (10m). Includes vertical shooting. The Silver is the midrange option that is regularly priced at approximately $300. Hero 7 White: Less powerful processor than the black, maximum video resolution of 1080p. REI says that the Silver and White both still outshine previous Hero models. Includes vertical shooting. This is the entry level, low price point of $200. All three GoPro Hero 7 cameras also have built-in waterproof protection down to 10m, LCD touch screen, voice commands, Wi-Fi and Bluetooth capability, supercharge power adapter, and compatibility with GoPro mounts. Given the announcement as well as the early GoPro Fusion 360 degree camera, retailers will probably be eager to discount the Hero 6 and any other inventory that they have in stock to move their inventory and consumers to the new GoPro Hero 7 models. The best deal on the Hero 6 for most people is currently at Amazon. They are offering it for $499 and you get a $50 Amazon gift card with your purchase. This deal is available online. CLICK HERE TO BUY IT RIGHT NOW. If you are near a Cabelas, you can get it for slightly better – They are offering it at the same price but with a $75 Cabelas gift card. There are two stores with the GoPro Hero 5 at $349.99 plus you get a $50 Gift Card. Click Here to get the deal at Amazon. 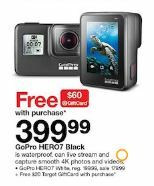 Best Buy also has the GoPro Hero 5 with a $50 Best Buy gift card. GoPro deals on these action cameras may be announced by either GoPro or retail stores, so we will be checking both locations to bring you the best price. As the latest model to be released on the shelves for Thanksgiving Weekend 2017, the GoPro Hero 6 will probably see retailers bundling gift cards to entice sales rather than offering huge discounts. If you are looking for the biggest deals, you are probably looking at buying either the Hero 5 Black or the Hero 5 Session. 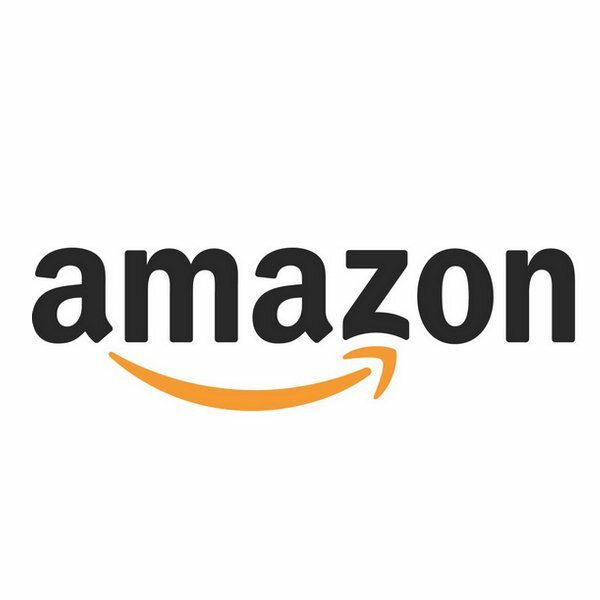 The current Amazon deal is $499 plus you get a $50 Amazon gift card!. 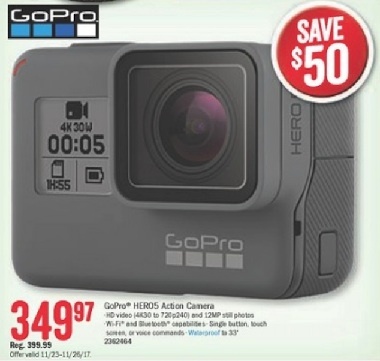 Cabela’s is also offering $75 in Cabela’s Bucks with purchase of the GoPro Hero 6 at its regular price of $499.99. Best Buy had it for $499 with a $75 gift card before Thanksgiving – this deal has expired. 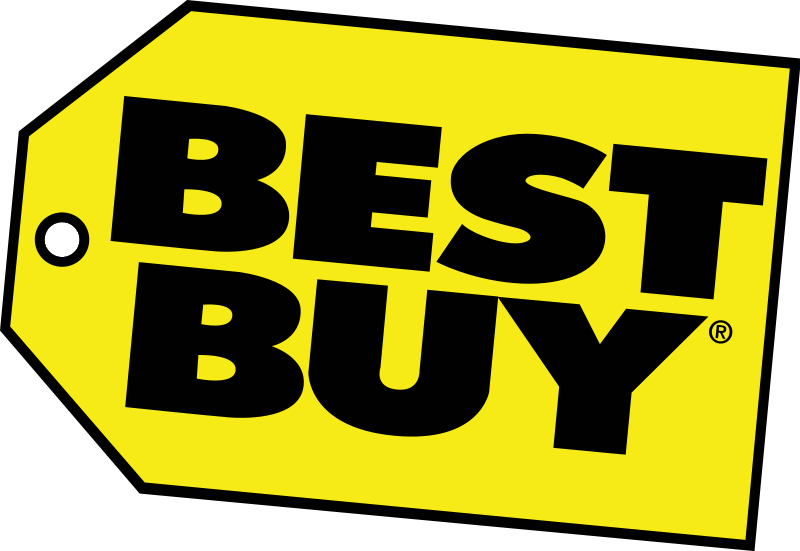 Best Buy – $349.99 (plus $50 Best Buy Gift Card). Cabela’s – $349.99 (plus $50 in Cabela’s Bucks). Amazon – originally $374 plus a $50 gift card but they have no lowered the price to match Best Buy. Target is offering the Hero Session bundle up for just $179.99 plus a $20 Target Gift Card. We don’t think this is the Hero 5 Session Bundle as that would be an incredible steal at that price. If you don’t need the latest and greatest from the GoPro line, you are essentially getting the bundle for the regular price of the Session. GoPro Hero5 Black – A 2-inch touchscreen and 12 megapixel sensor are the highlights of the top of the line GoPro from 2016. It generally has more option and shoots higher maximum frame rates at the same resolution as the Hero5 Session. The Hero5 Session, for example, cannot shoot 4k in the widest SuperView mode. This GoPro also has a GPS system to geotag your photos. The Hero5 Black is also waterproof (to 33 feet) without a case, an improvement over the Hero 4. Hero5 Session – The Hero 5 Session is a compact, waterproof (to 33 feet) action camera with a 10 MP sensor. We’re excited to be helping you find the best deals on Black Friday action cameras. Stop back soon for updates as we comb the leaked ads and online announcement in 2019 for big savings on the GoPro Hero cameras.